More Years to Your Life. More Life to Your Years. Important Announcement: This Blog is being revolutionized-New Website Coming Soon!! Well, you haven’t heard from me in a while because I have been busy designing, planning and writing content for my new website! How do you want to live 10 years from now? Simple, easy steps for Feeling your best, Sharpening your brain and Improving your outlook on life. Tips and resources for Trimming the fat, Lowering your risk factors and Achieving a healthy, fulfilling life. It’s an all inclusive website for research based education, inspiration and motivation! Resources such as online journals, trackers, tips of the week, research based facts and more! Stop the auto pilot and break the habitual cycle! Learn to put yourself first- finding the time? Or making it? Hit a wall with your last diet attempt? How to LOOK younger and FEEL younger. Shocking levels of sugar in a bagel, coffee and fruit cup! Starbucks claims their bagels have 10g protein and similar amounts of sugar and carbs. Hmmmm…. now that’s food for thought. Read about Lose Smart Lean Up in our previous blogpost. This our healthy option for a complete nutritious breakfast or any meal.. especially of you are usually on the run and need to get in shape. 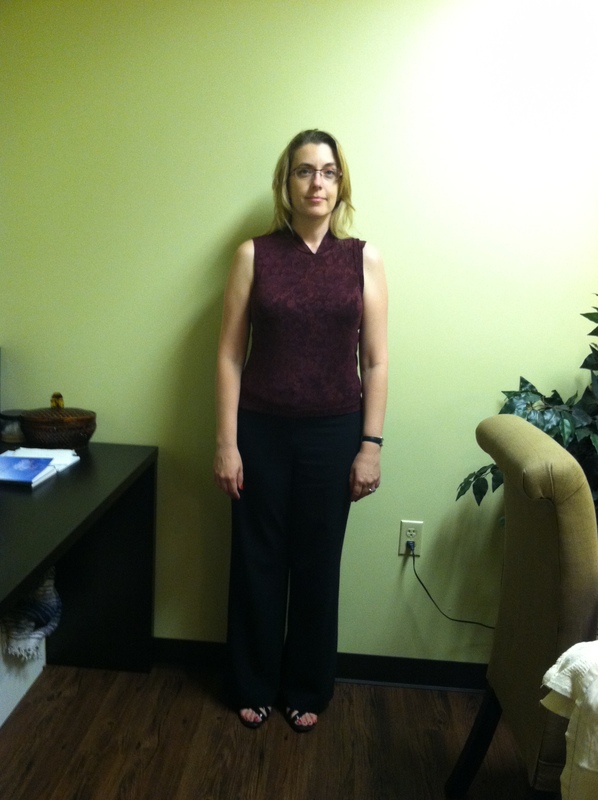 My Lose Smart Lean Up (LSLU) program was launched in the Spring of 2012. Since then several participants have achieved various milestones, whether it is losing more than 10 pounds, slimming their waist or just feeling better! 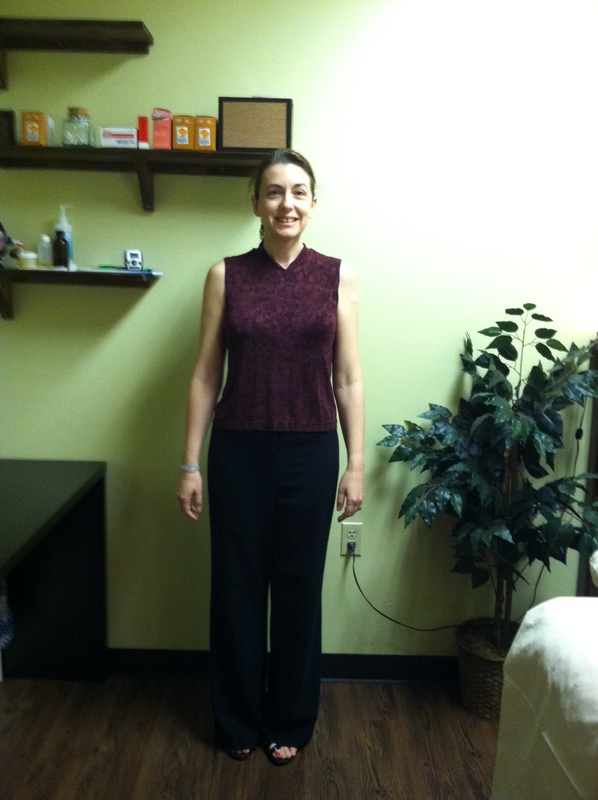 Back in June, Angie’s goals were to lose 15-20 pounds, conquer her cravings and fatigue and just perk up! She signed up for my study and committed to eating smart, drinking the metabolic, fat burning shakes and a regular routine of minimal exercise. In return she received additional discounts on the supplements and free assessments including body composition testing. Despite a few bumps in the road (life can always interrupt a program) she did extremely well. 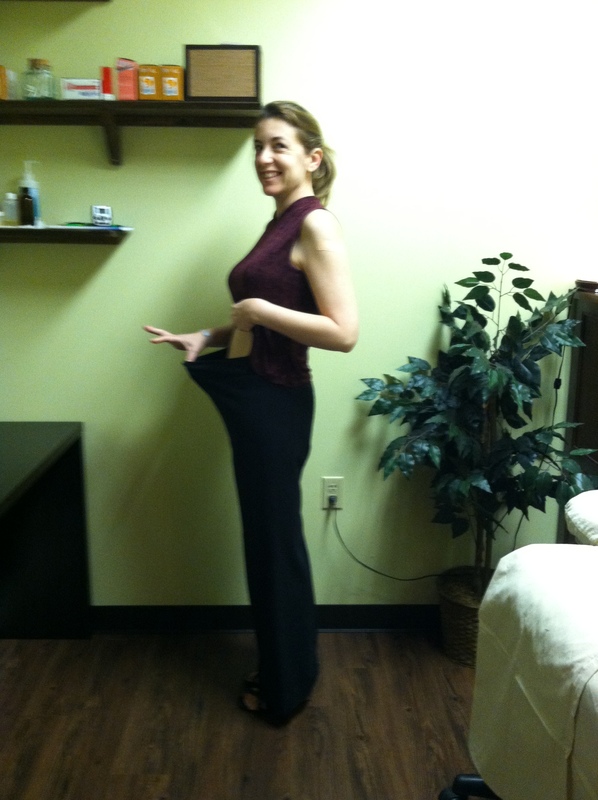 To date she lost 14 pounds, 6% bodyfat, 3 inches off her waist and dropped 3 jean sizes (down to size 4 from 10). But more importantly, she feels she has a new lease on life! She has her energy back, she focuses better at work and in school and no more cravings! 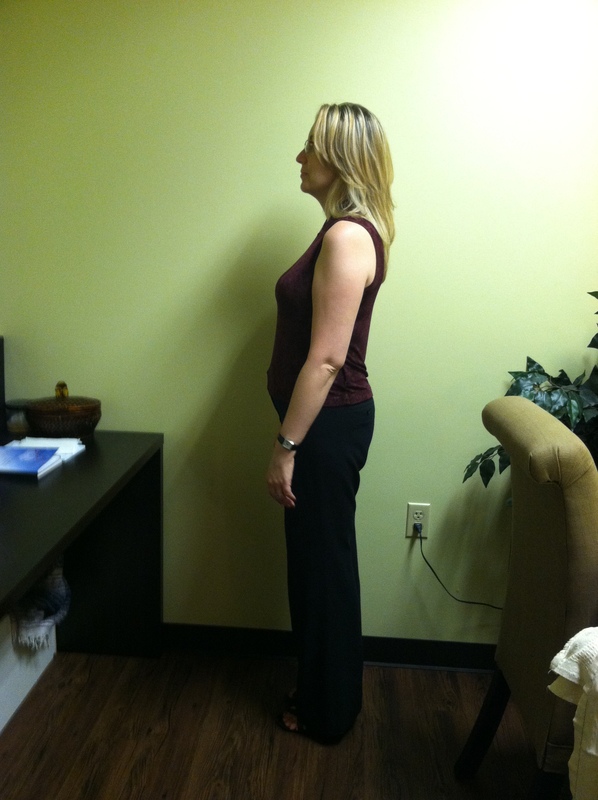 See her photos below and call us at Living Pure to see how you can achieve better health permanently and safely. Our Lose Smart Lean Up program is more a fat loss than a weight loss program, designed to improve a person’s function rather focusing solely on his or her appearance. It is based on achieving healthier cellular function with natural, safe supplementation and lifestyle changes…all under a doctor’s supervision. Call (623) LP CHIRO for info on our New Patient Starter Package. Curl up on a cold day, especially when you feel under the weather with this tasty brew. It will induce a mild rise in body temperature and induce sweating. Place ingredient in a mug. Add boiling water. Cover and let infuse for about 10min. Sip and enjoy with a good book! Courtesy of Berris Burgoyne, BHSc, ND in Brisbane, Australia. From Thanksgiving to New Years, the holidays can be a non-stop eating fest for many. It’s easy to use the festivities and holiday parties as excuses to binge a little (or a lot) with the intent to smarten up after January 1st. After all tis the season and everyone seems to be doing it. However, whether you are on the straight and narrow and usually stay consistent with healthy eating practices OR you tend to bounce in an out of a program (out during the holidays)… let’s be clear about one thing: January is an ideal time of year to start cleaning house; and I don’t mean that literally. 1. Start your morning by drinking a warm cup of non-caffeinated herbal tea like Tulsi (holy Basil) or just warm water with lemon. By the way.. did you know that humans have almost an identical digestive process as gorillas who eat HALF their body weight in veggies every day? this is an extremely high fiber diet (mostly insoluble) which keeps them regular and free from heart disease. 3. Are you drinking enough water? Strive for half your body weight in ounces as a general minimum. Avoid chilled or cold water which will slow down your digestive energy and have an adverse effect on your toxin clearance. 4. Get moving. There really is no excuse to make time to exercise even if you steal 10 minutes here and 10 minutes there. Incorporate strength, core exercises and cardio into your routine. Of course this is the minimum and ideally you want to boost the effects of healthier eating with proper oxygenation of the brain and tissues through movement. A sluggish body is a manifestation of a sluggish brain. Wake up your systems by starting with these simple strategies and call your chiropractor for a nervous system tune up. Activating healthy nerve transmission pathways with chiropractic treatments is the ultimate solution to improving your ability to adapt to all types of stress (physical, chemical, emotional, environmental). Lose Smart Lean Up is helping many achieve healthier body composition while cutting the fat and increasing muscle mass using safe, natural methods. Contact our office at 623-LP CHIRO for more information! Last week I tried something a little different. This is great for the Paleo Diet folks. Grilled Wild Mahi Mahi and Roasted Veggies over bed of Fresh Greens. As soon as I came home from work, i drizzled the fish with olive oil and sprinkled Real Salt, pepper, herbs de provence and fresh lemon and stuck it back in the fridge. Then I chopped the organic cauliflower, broccoli and onion and combined them with grape tomatoes and garlic cloves in a bowl with olive oil. Then I laid the veggies on a cookie sheet and put them in the oven at 400 degrees for 20min. I washed and spun the fresh green salad and stored it back in the fridge. For the next 15 min I was able to check email. Oven timer dinged and I turned the roasted veggies and put them back in the oven for another 15min. Once those were done, the fish and peppers went on the grill. I pulled veggies from the oven, made a small amount of olive oil and balsamic vinegar dressing (I used fig vinegar) and plated the fresh salad, laid the roasted veggies on top, sprinkled chopped walnuts on top and drizzled the dressing over all of it. Perfect timing. The fish was ready. Voila! I think most people would think a dinner like this on a working night is too much trouble. This pleasantly surprised me. Besides being healthy, it was quick and delicious! 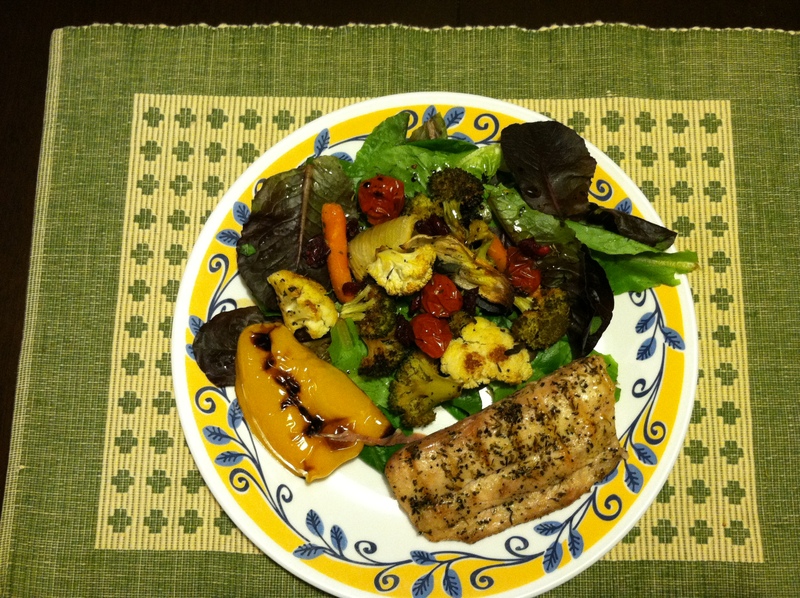 Grilled Mahi Mahi with Roasted Veggies- A Lose Smart Lean Up Dinner. 1. Amalaki -works on all tissues and targets circulatory, digestive, excretory. Used for constipation, anemia, gout, palpitations. Amla is one of the main ingredients in Amlaplex, our rejuvenative herbal paste. If you haven’t tried it, ask us for a taste next time you are in the office. 2. Bibhitaki- works on plasm, muscle, bone. Has a laxative and expectorant effect, Used for chronic diarrhea, bronchitis, parasites, stones. Promotes growth of hair. 3. Haritaki– works on ALL tissues, and targets digestive, excetory, nervous and respiratory systems. Used for asthma, cough, abdominal distention (bloating), parasites, tumors, heart disease and skin diseases. Amalaki + Bibhitaki + Haritaki = TRIPHALA (means 3 fruits). This is one of the first herbal therapies I introduced in my practice 14 years ago and I still recommend it to this day, whether you suffer from constipation or not. My guru (Ayurvedic teacher) in New Mexico said last May in our herbology intensive: “Take Triphala every day and you will live a long life“. He said it is the anti-aging secret of Indians. He looks at least 10 years younger than his age. HAnd with his energy and passion, he has no intention of retiring from his mission anytime soon. I, myself have been taking Triphala everyday for the last 10 years, whether I am on a cleanse or not. Just a simple all natural nutrition pearl I wanted to share with you. Lose Smart Lean Up Weekend Tips for Staying on Track! Here is one of our periodic emails we send our Weight Loss Study participants regarding staying on track. So far they are all doing very well- motivated, losing pounds in their first 2 weeks and adopting a new healthier lifestyle without compromising their happiness! By now you are closing in on your first week and feeling the effects of the program: digestion moving better, increased satiety after meals and perhaps more energy! For most of us, weekends throw our schedules right off, especially when it comes to eating and exercising. Don’t be a recluse and tell your friends you can’t hang with them because you are in a weight loss study! That’s deprivation, which equals misery.. which leads to failure Here’s some tips on how to stay consistent and not fall back on your progress. 1. Dinner and movie with friends or a date night? If you’re afraid of what you will order or you know the gang wants to go to Chili’s, eat your meal or have your anti-inflammatory shake before you go out. That way it’s easier to order a salad (dressing on the side) or light snack when you’re with them. 3. Keep yourself busy…almost as busy you are on a work day without doing your work. Get in the garden. Go to the farmers market or a library to chill out with a good book. If you are weak for coffee I do not recommend a coffee house! A tea house is better. 4. Use the Sun’s energy! Try to keep the same circadian rhythm during the weekends. In Ayurvedic Medicine, we believe the Sun governs our digestive energy and all other functions. If you’re eyes open when the sun rises, get up and go outside when it’s still cool. Take some breaths of fresh air and walk barefoot on your dewy grass to absorb the Earth’s natural grounding energy. 5. When it’s time to relax and sit back. Don’t do this when you are approaching snack or meal time. Having a protein based snack first, then brewing a Tulsi tea (hot or iced- but bring it closer to room temp) will reduce your chances of becoming tempted by something sinful. 6. Engage in a NEW activity. Try a Qigong, Tai Chi or Yoga class. Hike a new mountain or trail with the family. 7. Use the weekends to prep for the following week. I will chop veggies and store. Soak lentils and cook them up (the spices preserve them for days in the fridge), and peruse the sales at Sprouts, Whole foods etc. Plan your lunches/dinners for the week. Being thrown into Mondays unprepared can set you up for a challenging week ahead. Start it off on the right foot be being prepared! Healthy activities and habits like these certainly help you stay strong when going through such a transition. Coming shortly a nice little video for Sugar lovers to watch and some ideas for spicing up your shakes! Very important: If you are having craving issues, getting tired after meals or shakes or little jittery before eating, the Gymnema herb is proven to regulate your blood sugar, re-sensitize insulin receptors and when chewed especially, it will numb the sweet taste buds in case you do eat something you shouldn’t. And eventually patients do not desire sweets and carbs! All other tastes are unaffected. I am using this to help patients reduce insulin drug (ie:metformin) doses as well. Our product is therapeutic strength, formulated in Australia. We have a limited supply right now so please call before coming by. We are open today 10am-1pm. This is listed under your discount supplement list for Study Participants. Update: Chocolate Mint flavor shake is still backordered (Our apologies!). They should be here soon. All other flavors are here waiting for you to pick up if you haven’t yet. Almost finished with crunching data from your initial assessments. If you don’t want to know your numbers now but wish to wait for final results and comparison, this is perfectly fine! Happy Weekend and Happy Losing! Visit our website: Living Pure Chiropractic. Lose Smart Lean Up! Weight Loss Study starts in June. I am very excited to announce our first ever weight loss study. After hearing many complaints about their weight and seeing the frustration friends and patients from bouncing from diet to diet, I decided to evaluate the effectiveness of our products and lifestyle program on them. So I’ve turned this idea into a study. I’m looking for participants who are serious about making a healthy start on the road to recovery. The road meaning, a SAFE, gradual and effective way to support your physiological functions and strengthen them while the fat burns off and the lean mass builds. Ill be testing our functional food shakes used for chronic inflammation, autoimmune and weight issues on subjects. These are Vegan, Soy free, Corn Free, Dairy Free and Gluten Free. And I shouldn’t forget, delicious! I haven’t had one complaint so far. You must be at least 18 years old and desire (or need to) lose at least 10lbs of weight in order to apply for the study. If you’ve struggled with weight issues, have bad cravings, can’t seem to stick to a program, you should consider this program. Come join us for an Orientation and Kick off event June 2, 2012 @11am. I’ll be giving a fun and informative presentation on safe weight loss. We’ll be offering all flavors of the shakes for tastings and sampling out our new Flat Belly Crackers and other study related products. Being part of a group that truly shares your struggles can help you along a very challenging feat and keep you motivated. You do not need to attend this event in order to participate in the study. Just call our office for details. (623) LP CHIRO (572-4476). Protecting your Colon, Strengthening your Immune System. Last blogpost I talked about maintaining sufficient acidity in your stomach. Now I’m going to explain why I use probiotics not only in my cleanse and purification protocols but for standard protocols to maintain patients’ health! Probiotics are very important for improving digestion and nutrient absorption by strengthening the gut barrier wall. Probiotics prevent infections of the GI tract. Probiotics have a cholesterol lowering effect- therefore improving cardiovascular health. Probiotics prevent certain cancers (strengthening the immune system). WHAT ARE THEY? Basically they are healthy little critters that need to colonize your gut wall to do all these things I listed above. WHY DO WE NEED THEM? Stress, toxins, poor eating habits, medication use (antibiotics especially), infections-such as intestinal pathogens etc., leaky gut conditions, weight management. Probiotic MUST be acid resistant and bile resistant – you don’t want it to break down before it reaches your gut. Gluten Free– compatible for those who have gluten sensitivity or allergies. Resistant to oral antibiotics of course. Or else it couldn’t replace the flora your antibiotic is killing. Dairy-free – beware some manufacturers call their product dairy free BUT they weren’t grown on a dairy -free medium. This is very important because we recommend this for patients with inflammatory issues avoid dairy or who are simply lactose intolerant. Your probiotic must increase production of helpful enzymes to aid in breakdown, processing and absorption of nutrients. Neutralizes harmful bacteria and oral pathogens – such as microbes. We can’t control everything we put in our mouths (for example-a salad ordered at a restaurant: how well was it really washed?) Together will proper acidity (HCl) the probiotic must be able to neutralize the pathogens to protect you! Must contain the strains necessary to: Reduce Gas and bloating, Maintain healthy bowel regularity and stool consistency. Reduce Inflammation. For most of us, eating yogurt is no where near enough to meet our needs. I have seen several patients with a long history of yogurt intake and their lab work still screams leaky gut or chronic infection. Strength (dosage) is really important here. Most health store brands don’t have enough dosage per capsule to meet our needs. Therefore taking 5-10 of those per day in order to get the therapeutic effect and wipe out the infection for example, would make that retail bottle quite expensive, not to mention most I’ve seen lack sufficient strains. The targeted protocols I use for my patients meet all the criteria above (and more) and give me the confidence that my patients are receiving the best strains at a great value. Gut health is the foundation for overall health according to Chinese and Ayurvedic Medicine. This is also now a strong foundation here in the Western World..primarily in the field of functional nutrition and herbology. I just returned from the Ayurvedic Institute and completed Ayurvedic Herbology for Pathological Disorders. I am excited to start implementing a few traditional protocols in my practice for many common conditions..many of course involving gut related issues. Most common illness can be traced back to gut problems. We’re not just talking about indigestion. You can have an impairment in the balance of your gut flora (or lack of) leading to additional problems such as malabsorption, constipation, diarrhea and a host of other common complaints. Restoring digestive health means reversing the detrimental cascade of gut-related illnesses. Establishing the proper balance in your system is not a do-it-yourself job or a quick relief kit from a store shelf. It warrants careful consideration to your individual state, your health history and additional factor and conditions that may need to be addressed. Patients in my practice are guided through a step by step process in improving the digestion, restoring healthy intestinal environment, removing toxins and rebuilding the gut wall for future protection. Once this is accomplished, they get well and move on. It’s remarkable to see how digestive repair can help a patient in several ways beyond digestive complaints: skin conditions improve, weight starts to reduce (healthier body composition), acid reflux, belching disappear, swelling reduces and iron and B12 levels improve. I’ve experienced positive results firsthand with my own gut repair protocol. Specific recommendations are made during one on one consultations with patients, however stay tuned for a general overview on how to make your gut healthy and your immune system happy. Easy Weight Loss Tips to get Ready for Summer Season! Simple things you can do to start the cleansing process, without feeling completely deprived! 1. Start by slowly cleaning out your pantry of items containing: fructose, sugars, sweeteners, soy, and additives including artificial colorings. 2. Every morning after brushing your teeth and scraping your tongue gently with a steel tongue cleaner, drink a warm cup of herbal tea or water with lemon. It gets things moving! 3. Stay hydrated with cool to room temperature water. Cold and icy water dampens your digestive energy and causes stagnation. Remember as chiropractor, I always say “movement is life”. This also applies to your digestive system. Get at least half your current body weight in ounces per day. 4. Eat small meals throughout the day instead of the big daily dinner and skipping lunch. Snack sensible in between with vegetables and lean protein. 5. No time for breakfast? Wake up 10 minutes earlier (without robbing from your sleep time- this means get to bed earlier) and make a protein shake. For weight loss we recommend specific functional food shakes containing 20-26 g of pea and rice protein and certain healthy ingredients to dampen inflammation and metabolize excess hormones out of your body. These shakes may be used more frequently than just breakfast time to ensure our patients reach their target goals. 6. Get moving! Don’t migrate to the couch after dinner. At the least move around your home doing chores. Even better: go for a walk. Most of my patients who come to me for weight issues admit this is their worst daily habit and we need to break it. 7. Stock your fridge with healthy hearty vegetables and lean proteins. Broccoli, Kale, Brussel Sprouts (the trinity of cruciferous veggies! ), cabbage, spinach. Find a local meat shop specializing in grass fed organic meats or check your local grocery store for weekly specials and put an alert on your calendar/smartphone to get there early in the week. I find if I snooze I lose. Most stores sell out on organic meat when running a special. Note: Many advocate eating your vegetables fresh, however I find some patients lack the proper energetic patterns or constitutional balance and stomach acid to break them down efficiently. If raw veggies cause you distress, try steaming lightly before consumption. For more information on our functional nutrition services, supplies and weight loss functional food shakes, contact our office at 623-572-4476. Until May 31st, we are running a spring special for new clients: $75 off the intial consultation and examination. This is a 60 minute appointment including in office testing and thorough discussion of your needs, goals and history. (Regular price is currently $175). Let’s make this year the year for positive changes that you will keep PERMANENTLY. Itchy, Dry Skin in the Winter? Every year I hear the same complaint from friends and patients. “My skin is so dry, sometimes itchy, like a burning, prickly itch!” Here’s a few tips I share to help soothe the nagging, miserable effects of this problem. Check for allergies or sensitivities. Switch to natural fibers for linens and clothes (including undergarments). Take a look at your detergents- they should be free of synthetic chemicals and dyes. Visit the Environmental Working Group’s website www.ewg.org to obtain a list of harmful chemicals and preservatives you should avoid. What laundry detergent are you using? Check your labels agains ewg’s website (link above). I prefer Seventh Generation brand. Occasionally it does go on sale at your local natural foods store so stock up! Do you have a food sensitivity or allergy? Don’t let your doctor order a IgE blood panel (wrong!) The accurate test for allergies to foods including spices is an IgG panel. Call our office at 623-LP CHIRO if your medical doctor won’t order this. Insurance usually doesnt pay for this test, however the value of paying out of pocket for this test can save you from years of more misery! Last year a medical doctor (allergist) ordered a big IgE panel for me to try to determine what was causing my itchy dry skin patches. Results completely contradicted my symptom reactions to certain foods. For example, I have immediate adverse symptoms when eating gluten yet the test revealed NO sensitivity to gluten. It was a total waste of my insurance company’s money! If you live in a dry environment, consider using a cold mist humidifier. 2. Natural Skin Care: I avoid contact with all things containing harmful synthetics: all parabens, disodium EDTA, Yellow No 5, Reds etc etc. As I always say, “Let nature be your medicine cabinet.” That includes skin care, hair products and cosmetics. I mix organic coconut oil or sesame oil with Devita Shea Butter lotion daily after showering. Most allergic reactions are due to sensitivities to detergents. The only two lines of products I trust are Devita Natural Skin Care and DaGrosa Natural Products– both locally made here in Arizona but ship anywhere. Being able to know the source of every ingredient of these products is ressuring to my family’s health and the health of my patients. Both lines are available in our office on pre-order basis. Devita has recently launched their mineral makeup line and I absolutely love the products I have tried so far! Itchy patches of skin? Apply calendula (available in lotion, gels etc in health food stores). It’s very effective for spot treatments. I blend a small amount in a jar with my shea butter lotion. 3. Skin Nutrition. Are you getting enough healthy fats in your diet? Most of us are deficient in essential fatty acids. You need to know your trusted source of fish oils BEFORE buying them. Since the market is unregulated, there are many products out there which are rancid and/or contain contaminants, so BE CAREFUL! Check with your licensed natural practitioner for recommended safe supplementation. Besides fish oil, Black Currant Seed Oil not only can help with dry skin but protect from breast cancer. Ladies, my female patients report no more breast tenderness based on 1-2 gel caps per day! Check for nutrient deficiencies: A Micronutrient Test would be a good idea to identify any specific needs before going out and raiding a health food store! This test can be ordered through our office. Learn more about this test see Spectracell’s website by clicking this link: http://www.spectracell.com/mnt/. Determing the source of your problem is the key to finding the right solution. Avoid a wild good chase by buying everything you read about or everything your friends tell you. If you are not in the Phoenix area, call our office and we would be happy to refer you to a practitioner in your area who can be your guide and help you save money and undue stress! A Supplement for Healthy Skin, Nails, Hair…and Joints? You bet! I want to share with you my latest testimonial for something wonderful I finally tried. I actually have been selling this in my practice for a few years but it wasn’t until recently, a stubborn dry skin condition pushed me to buy a bottle for myself. To my surprise not only is my skin better, but a painful inflamed shoulder I’ve had for 2 years improved dramatically! I have better range of motion, can do some exercises I avoided before and feel stronger when I adjust patients! My hips and knees (other vulnerable areas from years of dancing and fitness) improved in flexibility and resistance strength. I’m back to running and can enjoy ballroom dancing without fear of my partner crippling me with a sudden arm movement. All these great results make sense since it is choline stabilized orthosilicic acid- which naturally nourishes the body’s proteins. The choline stabilization technology prevents polymers from forming (which are highly unstable). This allows for better absorption. Many of my patients report shinier hair, fuller hair, stronger nails and their skin becomes more taut- It supports the regeneration of connective tissue, make sense? Now keep in mind, I don’t depend solely on this supplement. I continue to get adjusted, eat a healthy diet, use organic coconut oil and other natural products on my body and hair and stay hydrated. You only need two capsules of this supplement per day. If you have any questions or wondering how this product can help you even on one level, please contact our office at 623-LP CHIRO (572-4476). Oh yes, be the way, I’m hanging on to more of my hair- losing a lot less in the shower. This winter season has been a tough one for many of us afflicted with flu bugs and viruses…especially those of us under enormous amounts of stress. I always coach my patients on strategies to prevent infections (proper diet, exercise, mind-body techniques, supplementation, wash hands frequently etc)…but there’s no guarantee. 1. Immediately stop the perpetrating foods: sugar, caffeine, refined foods and start drinking warm to room temperature water…don’t measure, just keep drinking. While still watching the sugar intake I carefully integrate more oranges and kiwis in between meals. 2. Clean your home and work surfaces with a natural spray/cleanser (phones, keyboards) . I use a combination of Trader Joe’s Natural spray cleaner and a vinegar water solution, then finish off with a Eucalyptus Spearmint spray from Da Grosa Natural Products. 3. Fire up the humidifier if you haven’t already. Arizona winters are brutal for the dry weather and you need the moisture to move fluids and release congestion from your body. 4. Make a homemade chicken soup. My favorite recipe is a homemade Ginger Chicken Soup- I saute onions, garlic, chiles and add water. I simmer the bones and some meat of a rotisserie or whole chicken, throw in kale, spinach, big slices of ginger of course, carrots, potatoes and fresh herbs from my garden: sage, thyme, fennel and green onion. This should be consumed at least twice per day. 5. I supplement on a regular basis but when I’m afflicted with a cold (or when under high amounts of stress) I bring out the big guns: high dose whole food vitamin C, Echinacea Purpurea, Increase my dose of Vit D3 to up to 30-40,000IU’s per day for first 4 days, Whole food Calcium. If the cold has moved down to my chest and a cough is imminent: my favorite is a high quality liquid herb from Australia containing licorice root, Echinacea, pleurisy, white horehound, thyme and ginger. THIS one has NEVER failed me. We have trouble keeping it in stock during the cold and flu season. I pair this liquid with another herbal pill for the active sick days: which is a combo of andrographis paniculata herb and holy basil/echinacea augustifolia. 6. Drink plenty of tea! Herbal tea that is along with some occasional green tea is fabulous! I grew up in Canada raised by Indian parents so thankfully tea drinking is in our blood. Sadly I need to skip over the Red Rose when I’m under the weather and only drink my Organic India Tulsi Tea. Tulsi is Indian Holy Basil- used for thousands of years for many conditions and to promote good health. My grandparents, great grandparents and so on, grew the tree and lived on its leaves to ripe old ages! 7. REST. Your body is speaking to you when you are sick. It’s demanding your attention which you probably haven’t provided recently, causing you to run down. So time to stop and restore your health. One day off (maybe two) of focusing on the steps above and getting some sleep is better than suffering through daily activities and work feeling awful. Your would probably irritate your co-workers who wished you stayed home and not spread your germs around the office. Taking that time off will rejuvenate your body and boost your immune functions. 8. Lastly, as soon as you feel symptoms, call your Chiropractor and get in for a series of adjustments. Chiropractic adjustments do more than ease pain. They facilitate all levels of function of the nervous system, including regulate your immune fighting capability. In addition to all the steps above, chiropractic is safe, natural, cost-effective and has benefits beyond the immune boosting effect. Once you’re past your active symptom phase, I also recommend you schedule a massage with a therapist who is trained and experienced in working with lymphatic drainage techniques as well as muscular conditions. Getting the lymph and circulatory system moving is a big factor in restoring your health. Health won’t come to you if you wait for it. Now let’s talk about prevention. Does it cost more to stay well or to get well? Think about it. What does it cost you for a trip to the emergency or urgent care, not just financially, but mentally. What about the loss of work time? Emotional stress from the emergency itself? Besides an accident or trauma, most reasons for emergency visits could be prevented. People who live with healthy habits, take care of their bodies and their minds and seek regular check ups with their chiropractor are far more successful at avoiding unnecessary medical intervention. They are not on a laundry list of prescription drugs and of course, don’t suffer side effects. Chiropractic is the only form of treatment that directly restores balance to the nervous system (without drugs or surgery), – the system that controls every function in the body! So wouldn’t it make sense to make sure that the nervous system is in top form, especially during stressful times? Make an appointment with yourchiropractor today and discuss what you need to do to achieve optimal health and a better quality of life. It is especially during these stressful times when we need to invest in our health and focus on prevention. Without a healthy nervous system, one can fold under stress. I wasn’t planning my inaugural blog post this way but due to recent happenings in the news, I left compelled to write now. If you know me, personally, you know I have admired Michael Jackson tremendously for most of my life. It greatly upsets me when people capitalize this tragic event by making money selling their memorial service tickets and souvenir t-shirts. I understand commemorating such a wonderful being but not at the expense of his family, friends and his true fans. You can imagine as a wellness doctor how I feel (and share Dr. Deepak Chopra’s sentiments) about the role the medical doctors played in his demise. This medical malpractice needs to stop! It took away a gifted, most generous human being from the world. I feel confused, upset, angry and sad all at once and my heart goes out to his family. I dwell on my memory now of my backstage invitation by Michael to meet him in 1984 in Toronto. It holds a special place in my heart and memory and because of that experience I feel I lost a friend, not so much an idol. I just returned from Los Angeles where I paid respects at the family home. The atmosphere was solemn and bittersweet. I am hoping the broadcasting of the memorial service this morning is a fair representation of his life and contributions, not a slanderous media blitz. That congressman in New York has no class to make such a lewd comment about anyone who just lost his or her life, let alone Michael Jackson. Please have some respect for the dear departed. Rest in peace, Michael. You will be forever remembered, forever missed and forever loved. This blog I created will represent “my” opinions, comments and “my” voice, not those of my practice or colleagues. This is the platform where I will share my own feelings, speak out and generate healthy and challenging discussions. I welcome you to follow, be inspired and motivated on a path to a healthier paradigm of wellness. At one point in our lives, we all experience a setback or “bump in the road” which can throw you off course. In late June, a therapeutic treatment sent me down an inflammatory path.. one that I was destined to experience anyways. It wasn’t the treatment or the practitioner’s fault. It was the natural progression of a shoulder impingement that was waiting to peak in the worst way. And the treatment opened the floodgates. For over a year I have lived with a “little shoulder problem” that did not prevent me from adjusting patients but it slowly worsened without symptoms. Little did I know what was happening inside the joint. Ironically I was planning on getting an x-ray when this all happened. So I had to bypass the x-ray and get the MRI- thinking I tore my rotator cuff. Fortunately there was no tear but an incredibly big calcification sitting in my shoulder joint. The pain and immobility was from the leaching of calcium into my bloodstream and the resultant bursitis. Wonderful. So I was “benched” from adjusting patients for one month. Thankfully, I was able to continue my nutrition practice, with the help of my assistant some days to write notes for me. Imagine having no abilities with your dominant arm/hand and if you move it just a few degrees it feels like a knife is stabbing you repeatedly! I spent the next month immersed in post grad seminars including a Sports Symposium and State Conference which connected me to the Best of the Best in the chiropractic and nutrition fields. After intense physical therapy, acupuncture, laser and nutritional therapy (I’ve never had to take so many pills in my life) it all paid off. Once the extreme pain let up, I was able to be adjusted. Now I’m back to seeing chiropractic patients. Is it over? NO! I’m still under rehab therapy – just because the pain is almost gone and I can move the arm, doesn’t mean the problem is solved. I’m on a long journey to re-train my muscles, re-set the biomechanics and monitor my pH levels to make sure this doesn’t recur in either shoulder. This whole experience brought me full circle back to the reason I became a chiropractic- my love for fitness and sports injury care. I sought the expertise of a specialist, Dr. Kevin Kerchansky, D.C. in Tempe, AZ for rehab advice. And I am using kinesiotaping to help with swelling and support. Last week, my husband and I attended Fascial Movement Taping certification training. All this has lent a whole new dimension to our practice – arming us with skills and expertise in helping patients maintain results from adjustments and train them to improve function and posture -not only to prevent further pain and injury but to improve their quality of life moving forward. So what hard lessons did I learn from all of this? Be accountable to someone to monitor your health. We physicians don’t make good patients to ourselves so sometimes we need to take the doctor hat off and and be the patient. and not to put your health on hold. We need to be functionally balanced in order to continue doing the work we do.. creating balance and health in our patients.